As islanders descend on the St Peter Port seafront on May 9th to celebrate Liberation Day, St John volunteers will be out providing first aid and medical cover. Our teams will be on duty from 8am until late to help anyone who needs our care. As well as adult first aiders, some members of the Cadets and Badgers will also be on duty on the day. 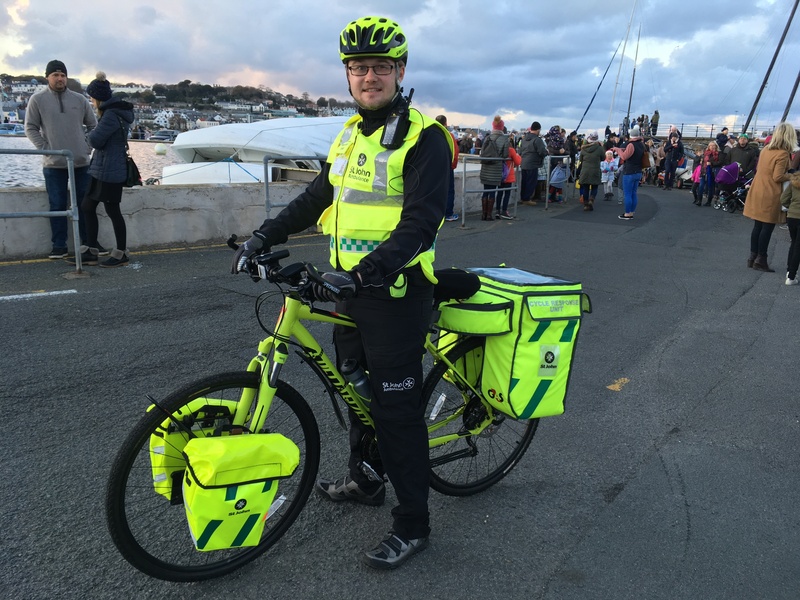 The St John Cycle Response Unit (CRU) sponsored by G4S will be deployed on the St Peter Port seafront. The trained CRU members are able to negotiate busy crowds on their specially adapted bikes, allowing a rapid and flexible initial response to medical emergencies. The main first aid post will be in the bus layby near the Albert Memorial/Picquet House, this will accommodate a treatment area and rest area for members of the public. St John will also have ambulance vehicles strategically placed in other locations around town. 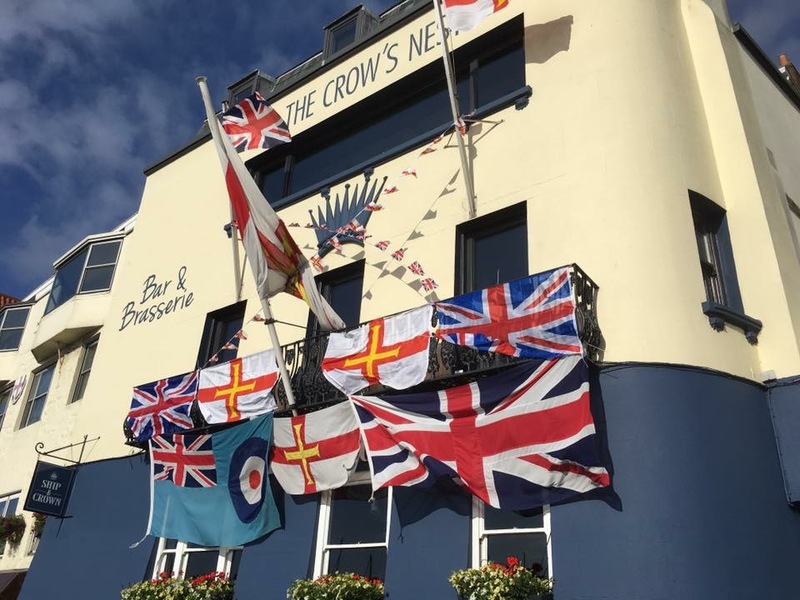 Meanwhile representatives of St John Guernsey and the Emergency Ambulance Service will take part in the Liberation Day Church Parade on the seafront and service at the Town Church during the morning. The St John Emergency Ambulance Service will continue to provide an island-wide emergency response on Liberation Day as it does every day of the year. Extra staff will also be on duty on the day with contingency measures in place to call in extra staff if required to ensure resilience. Rapid Response Vehicles and emergency ambulances will be available on the day to be placed on stand-by in busy areas as required. 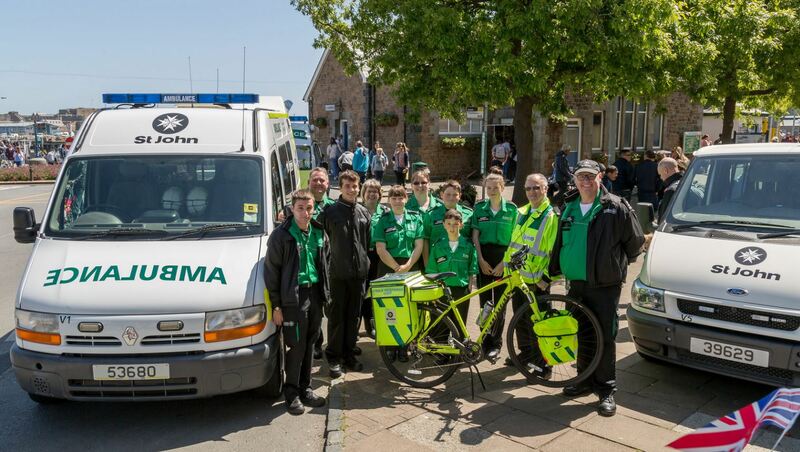 You will be able to follow the Liberation Day activities and see events through the eyes of some of St John Guernsey volunteers and emergency ambulance staff on our Facebook and Twitter pages, where we will be providing regular updates on the day. You can also learn more about St John during the Occupation on our Facebook page with a collection of short films featuring Gary Blanchford, the author or “Guernsey’s Occupation Ambulance Service” and photographs taken by his father Reg during the war.